We’re working hard to keep you up to date and informed with regular posts on our Blog. Sign up to get new posts sent right to your Inbox. Just one post every week or two and you can unsubscribe anytime. 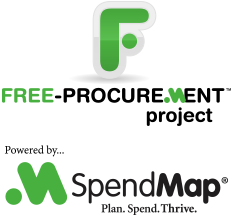 We answer common questions about how to use the Free Version of SpendMap. It’s a great way to move beyond the basics, a little bit at a time. If there’s something important to tell you, like a software update for example, we’ll post that information on the Blog. From time to time, we’ll offer freebies and other promotions – as if the free software wasn’t enough! Just enter your email address in the field at the right side of this page and click the [Follow Blog] button. You’ll receive a confirmation e-mail from the WordPress system – click “Confirm Follow” in the e-mail.